Today on the Bo Bunny blog it's Field Trip Friday! What's that you ask? It's a day to take a field trip and do some think you wouldn't normally do. 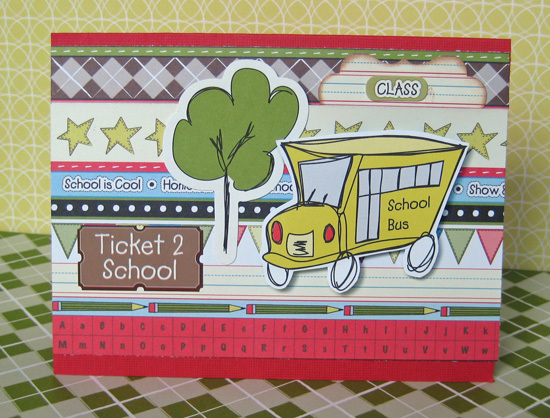 For this field trip I chose to use STAMPS on my layout. HAHA, not very adventurous you say? For me it is! I am always afraid I am going to 'mess up' my layout if I stamp on it. So I kind of cheated. 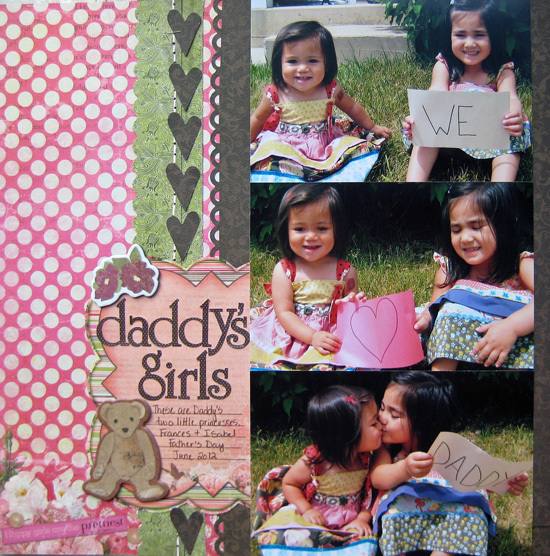 I stamped on paper and then cut out the images. That way if I messed up I could just try again. I did stamp a border along my paper, but it's very light and I covered most of it up. What I can see of it I like though! 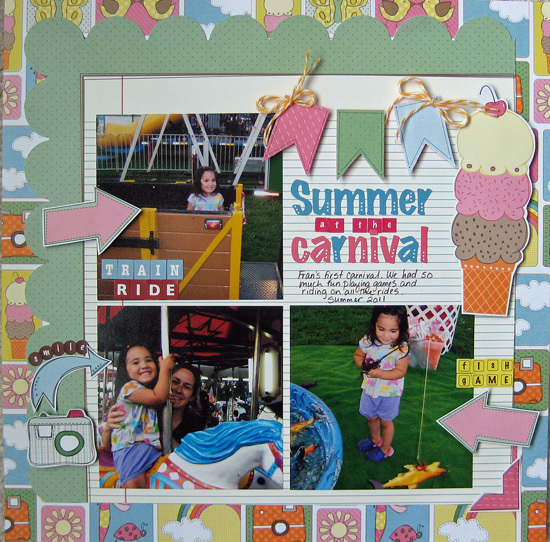 I used Bo Bunny "Little Miss" papers and embellishments and "Little Miss" and "Hello Sunshine" stamps. 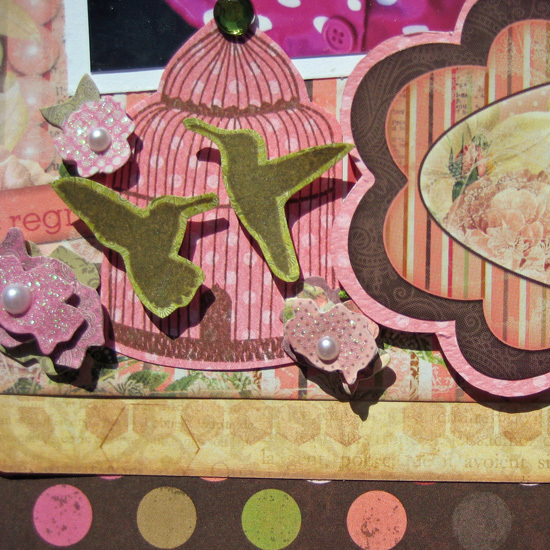 there's my stamped birdcage, birds and hexagon border below. Here's another layout I created for the Bo Bunny blog a few weeks ago that I forgot to post :(, opps! 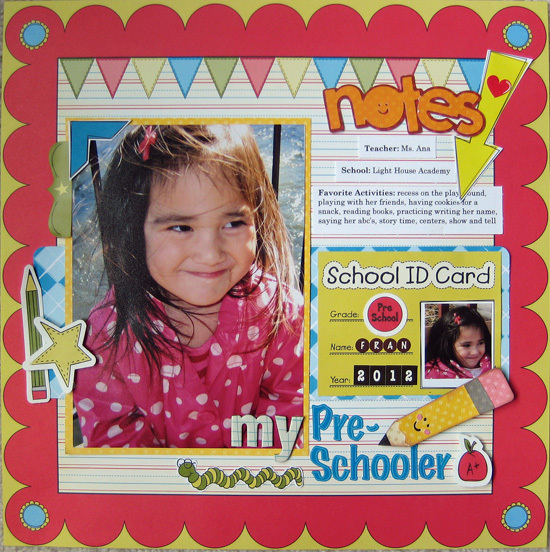 I used "Little Miss" on this layout also. I took these photos for father's day and LET ME TELL YOU, it was NOT an easy feat. To get these two girls to look at the camera at the same time?? NOT HAPPENING. It was worth it though to get the photo of the two of them kissing though :). It's priceless! 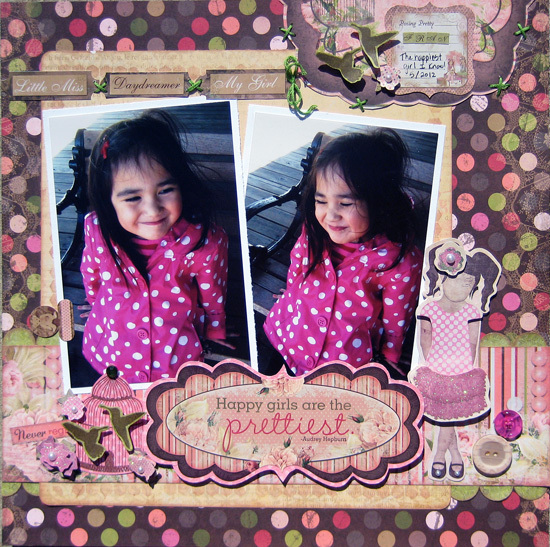 This layout was for a challenge to use limited supplies. I could only use two embellishment packs (I chose stickers and chipboard) and two sheets of patterend paper (thank goodness the papers are double sided!). thanks for coming by! 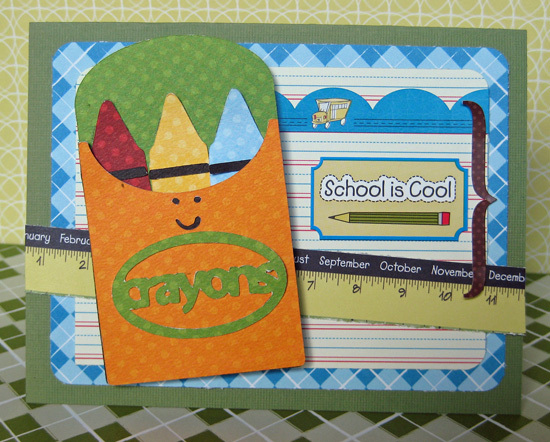 Have a great day and check out the Bo Bunny blog to see what the other DT Members created! Whew! It's been a while since I blogged! The summer just got away from me! 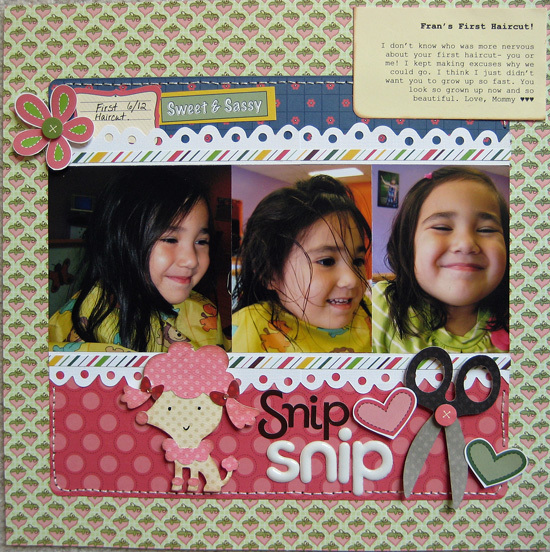 I have lots of projects to share today using Nikki Sivils. Enjoy! Thanks for coming by! Stay cool out there!